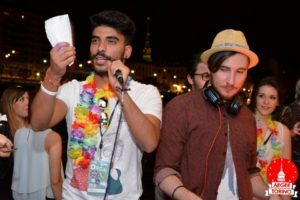 “All of my AEGEE experience can be resumed with these two words: local level. 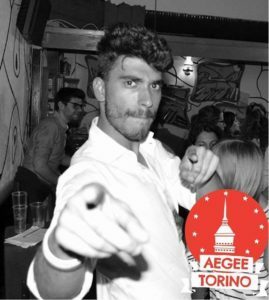 I am a proud member of the process that took an almost dead local to be one of the strongest antennae in our area and I took part in almost every single task in doing that.” This summarises the impression that Marco Daniele from AEGEE-Torino left us. A more than active member in his local as a PR, HR, Vice-President, main organiser, trainer, with a presence also at the European level as a member of ACT and SubCommie to Gabrielle Scollo. He wishes his next step to be the Comité Directeur. Read the interesting interview he has given to us before he presents himself in front of you at the upcoming Spring Agora Enschede. The AEGEEan: Could you present yourself to us? Marco: I am Marco Daniele, member of the advisory board of AEGEE-Torino and the Action Agenda Coordination Committee. I’m 26 but I turn four this October in AEGEE years. I’m an International Sciences student, an avid reader and a music lover. When bored (and not busy), I relax cooking italian dishes (with mixed results) and try to make people think I’m good at wine-tasting (with terrible results). Generally, I consider myself a person able to see the big picture for attitude, but caring about micromanagement for habit. I’m also a team-player and a big fan of the “BS” finger rule comment during meeting. I also have a collection of sunglasses. To be honest, I find describing myself a bit awkward, so I’d love if you’d decide to approach me during Agora Enschede to meet me in person! What is your overall experience in AEGEE? My AEGEE experience is strongly linked to AEGEE-Torino, since I spent most of my years in the association on the local level. I’m a former PR, HR, vice-president, local events responsible, Summer University main organiser and cultural activities coordinator for my local, and one of the current advisors and the main organiser of our NWM this spring. I have to be honest, I’m really proud of my work in AEGEE-Torino, and I consider it to be my main achievement because it went from a fading to a strong and blooming local (I’m telling a bit of the story in my motivation and my programme, if you want to discover more). I am part of the Action Agenda Coordination Committee and SubCommissioner of the Network Commission for Gabriele’s locals. Agora Enschede will be my fifth Agora and I took part to four NWMs as a trainer, main organiser or a participant, and countless local events. How does someone come with the decision to candidate for member of the CD? I cannot really speak for anyone else, but I can tell you about myself: I started to feel the urge to take action on different topics about our association and raise my voice to see if people were thinking the same as I was. I wanted my ideas and my vision to be represented in AEGEE-Europe. Once I had this feeling, my mind was already made up: I just had to fight the (I assume) natural fear and insecurity that comes with such a big step in anyone’s life. Do you think you possess the required knowledge for the position you are interested in (the one you answered in the Network’s question)? All of my AEGEE experience can be resumed with these two words: local level. I’m a proud member of the process that took an almost dead local to be one of the strongest antennae in our area and I took part in almost every single task in doing that; I main organised a Summer University and a NWM, I’ve been the local events responsible in one of the biggest local level environments in AEGEE-Europe (for numbers of participants and fundraising ability), vice-president during an economically exceptional year of AEGEE-Torino and coordinated almost every PR activity that led my local to raise from nothing to be in the top three of the most popular locals on Facebook. Even my European experience is connected with the life of locals: I’m part of ACT and Subcommissioner of the Network Commission, staying in contact with the local level. For a couple of years already, I have been the person who mantains contacts on behalf of AEGEE-Torino with institutions and private partners, connecting them with the University of Torino, the municipality and other external projects, like garagERASMUS and others. I led the process that gave my local the chance to participate on the direction of our own bar, creating, managing and working on chances for my members. Can you please share your thoughts and policies for the CD, as well as for the future of AEGEE? 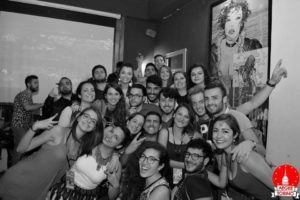 AEGEE was a really big part of my life during the last years: in our association I found motivations, self-developing chances, occasions to travel in places I’d never thought I would visit and to meet friends from every country in Europe. I love this crazy experiences factory more than I should, probably, but when you love something you need to be honest with it and with yourself. Is AEGEE as healthy as we’d like to think? For sure we have some strenghts, but looking closer to our situation, I see our weaknesses growing year after year. I’m not the finest analyst probably, but I detected our biggest problems in two generic issues: a resources crisis on the local level and an increasing gap between antennae and AEGEE-Europe. I believe AEGEE has a bright future: in the upcoming years of political and social confusion, we’ll find the chance to become an example for Europe, leading the process of transforming what we call home in our real home, being the young European citizens everyone strives to create. But to do so, we need to solve these problems which make us so similar to our political counterpart, the European politics, seen as distant by countries and people suffering from crisis. I think the next CD needs to focus on this situation: before flourishing, which kind of actions do we need to take to enable our growth? Can you share with us how do you plan to implement these policies? When it comes to planning and decision-making, I often define myself as a Soldier of Doubt: it means I don’t trust in perfect solutions, flawless logical thoughts, application of idealistic theories in practical situations. My only dogma in preferring an option over another one is efficiency. For what I saw in my AEGEE years, remote volunteers do not find their maximal efficiency in strict rules and bureaucracy, but in motivation and adaptability. For these reasons, my programme is based on few, easy words: simplification, creativity freedom and support for locals. – Giving locals the instruments to tangibly do what they want: I’m speaking, of course, about trainings. To do so, we need to make the most basic knowledge we have in AEGEE accessible to everyone through LTCs and RTCs, the only way some locals have to develop abilities. I’ll propose Network Commissioners to build togheter recognized pools of trainers per area, considering different needs, strenghts, abilities, experience fields and so on. – Building a common PR strategy to make AEGEE more appealing and agreeing on a more clear identity, to help locals to have some chances against better defined competitors. Did you ever hear about the famous seven seconds or elevator speech? Well, try to describe AEGEE to someone who never heard about it in that time. I can see your mind wandering between the thousands of beautiful things we do, but how can we make people interested in that in the time of an elevator ride? Imagine when it comes to “sell” AEGEE, especially without some endearing PR material. It’s my intention to work on this, asking locals to collaborate on producing clear, attractive and flexible material to help you in those hard recruiting sessions! -Simplifying communications and working environments. One of the first thing I want to ask locals and Network Commissioners is what’s the amount of bureaucracy we do really need, and if some new unexplored communication channels would help to raise awareness and participation towards AEGEE discussions. Also, I’d suggest you to take a look on my programme and motivation letter, it’s a bit long but, I hope, worth the reading time if you want to know more about my ideas! In your programme you state about Action Agenda and the Strategic Plan: “The Action Agenda and the Strategic Plan are powerful tools, but they shouldn’t become our masters. 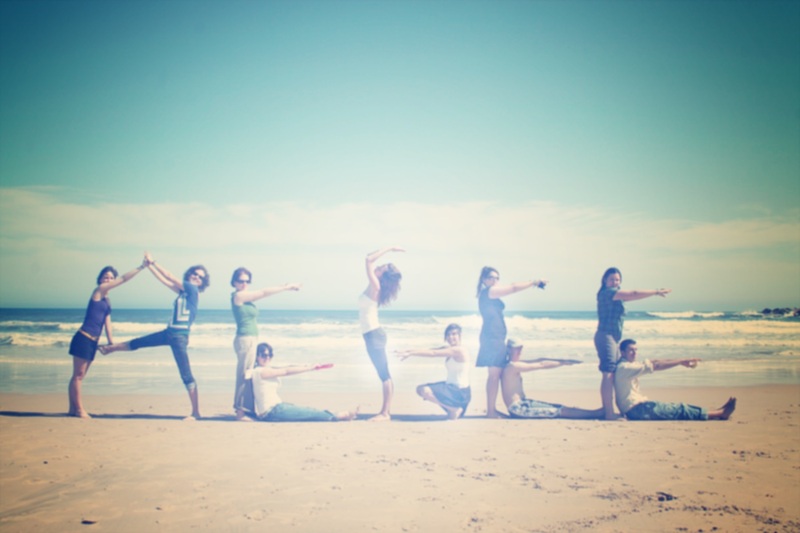 Most of the times locals tailor up their activities to fulfill a specific objective, making them less efficient for their environment and less motivating for their members, or they just pick up an objective and try to create an easy activity around it. This is leading to a dangerous misunderstanding about the thematic contents and Focus Areas, shifting from what members decide AEGEE should focus on to what AEGEE asks members to do”. Can you specify to us how exaclty to you want to work in order to avoid this? As I said, the current version of the Strategic Plan and the Action Agenda isn’t as successful as we’d like to think. As an ACTie, a subcommie and an advisor for my local, I see locals motivated for every kind of activity, but not really interested in working for the Action Agenda objectives. Sometimes they do, but with less enthusiasm and efficiency than when they work in a totally creatively free environment. Someone says finding the problem means already solving half of it. Still, I tried to get more feedbacks and develop my ideas. So, during my NWM ACT session, we asked different questions to people, and one of this was: “How would you like to improve the Action Agenda drafting system?”, and the results were amazing! It really looked like we found the right question people wanted us to ask. So I’d say an improvement in the drafting system is very needed, and in general we need to enhance the bottom-up approach in setting our objectives. Of course, through this process, EPM needs to be rethought. Next step could be introducing something similar to what I called “branded activities” in my programme: most of the times locals organise original activities which have very much in common with events already present in other antennae. This can happen for thematic or resource-based events, so in the first case it can look a bit like natural objectives locals decide to fulfill, without any top-to-bottom imposition. If AEGEE-Europe, instead of focusing too much on drafting a document locals are showing disinterest in, tried to brand those already existing activities with trademarks, professional logos and specific visual identities, catchy names and PR campaigns, enhancing everyone’s visibility, creating and managing social networks platforms, sharing best practices and ideas and helping weaker locals to gain credibility with local partners showing an already existing format; would it work as a sort of parallel Action Agenda? Clustering creativity instead of forcing objectives in an antenna life would let locals work in a much more creative and efficient environment, making at the same time our results more appealing and easier to support, being more similar to single projects, for external partners. We know that the final task distribution will be done only during KT, but what is the position you would like to cover ? As you already said, the final distribution of tasks doesn’t depend only on me, and I consider myself to be particularly flexible, thanks to my wide local experience. Still, my AEGEE portfolio best fits the position of Network Director and External Relations director. My local, AEGEE-Torino, is quite well-known in our area for its money-making abilities, and I was managing the economic aspects of it during the last couple of years, alone and in collaboration with the new board. We didn’t rely much on grant applications since our city is the most indebted in Italy and our region isn’t economically healthy as well, but when I applied for a grant related to our Summer University, being vice president and main organiser, we won the maximum amount of money offered (4000 Euro); for the same SU I fundraised with the University of Turin other more than 6000 euro worth in goods. During my active membership in my local, we also got our Erasmus+ PIC number and we are planning to explore the Erasmus+ chances next year.